Being happy is undoubtedly the best feeling one can experience. Different people have different ways to achieve happiness. For some it comes too easily whereas for some it requires effort. Nevertheless, it doesn't matter much, because at the end you are happy. Be it doing the things you love which will give you happiness or making others happy, there are infinite ways to find happiness. I have always believed in doing simple things and being happy. I ended up with this mindset because of my experiences. As any normal person would, i too have tried innumerable things in my life. Some simple, some extravagant. But when i look back to all those times, all i remember are the small simple things that i did or came across. I can still remember the gush of happiness that i felt. Whereas the extravagant things might have given me instant happiness, but i have felt it was temporary. Let me jot down and share the little things where i find happiness. Praying 5 times a day : Being a Muslim, one of my basic duties is to offer five prayers/namaaz each day. I cannot express the happiness i feel when i fulfill this beautiful duty for the sake of the Almighty. Though there are times when i miss offering my prayers, my day really doesn't feel complete. I go to bed feeling guilty and ashamed of myself for not offering my namaaz to the Almighty who is so forgiving, so merciful. But the days that i do all my prayers, with sincerity, on time, are the days i'm the happiest. I go to bed feeling so happy, praising the creator and thanking him for giving me the opportunity to pray and seek rewards. May Allah (swt) guide each of us in fulfilling our duties as a Muslim. Aameen. Islam teaches us to honor our spouses and i am so lucky to be born as a Muslim because i am rewarded each time i do that! So cool right? It's a win win for all! I'm happy, he is happy and we both are rewarded for it! Wowzers! So anyone reading this, whether you are married or not, keep this in mind. Whichever faith you practice, i guarantee you happiness while respecting and honoring your spouse. Helping anyone in need : This is one of my utmost favorite thing to do! And i know everyone would agree with me here. You don't have to invest a fortune to achieve this. Simple acts of kindness would do the trick here. Help someone lift something heavy, hold the door for someone, pick up something which someone accidentally dropped and give it to them, let people with few items go ahead in the queue at the grocery store and this list goes on and on and on! 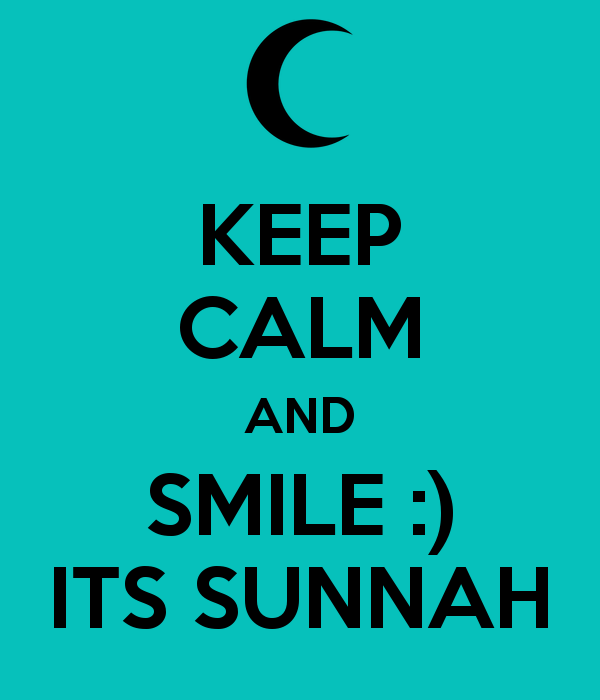 Smile, It's Sunnah : Islam is such an amazing way of life that it rewards one even for smiling! Subhan'Allah! Just give a smile and make yourself and others happy. Not suggesting that you go smiling to each and every soul you see! LOL no! Smile at the elderly, smile at the kids, smile and acknowledge their help when someone does an act of kindness. A smile is better than a frown anyway! 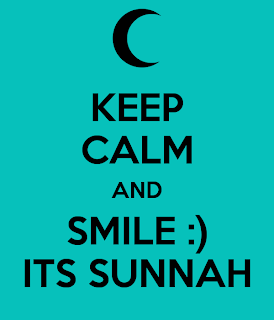 And bonus, you look good too ;) Guaranteed happiness this! Saying 'Thank you' : Another simple and favorite act of mine! Thank you is such a wonderful expression which guarantees happiness. You say 'Thank you' when you are pleased with something, so of course you are already happy with it, while it also makes the other person happy too for doing that particular act. A simple example that i have come across often after moving to NYC, is to say 'Thank you' to the driver of your bus/taxi. If you think about it, one would get the thought - 'Why do we have to thank them? We pay for it and it's their job anyway!' But see the look on their face when you say these magical words. They might hear it zillions of times each day but it really doesn't hurt you to tell it too, right? So what if they won't remember us? It's still a good thing to say Thank you for the favor/help/service received! Isnt it? Be happy for others : Jealousy is one basic characteristic of humans. It is easy to get envious or jealous when someone else achieves success. What is difficult, is to be happy for them. Like everyone, even i was a target of this feeling, but once i thought to myself 'Why should i envy him/her when Allah (swt) has blessed me with so much?' Achieving success is each one's right. We need to take an efffort to achieve happiness in this situation. But trust me once we get used to practicing it, it will come to us naturally. When we start doing it, others will take notice of it and practice it too and it gets mutual then! Imagine how the world would be if everyone would practice this? Let's change this within ourselves first and insha'Allah it will spread.